This is a must see custom home. This home has the highest customized finishes. 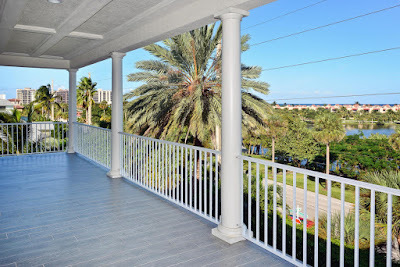 Come see this home in Old Towne at Juno Beach. This four bedroom and five and a half bathroom home is generously laid out over three stories. The home is constructed with concrete blocks for extra safety. You can easily access the three different floor by way of private elevator! All glass doors and windows are high impact glass. There are magnificent views of the ocean, lake and Seminole golf course. The floors throughout the main living area are hand crafted from Heart Pine Brazilian Wood. The custom mill work give the balance of the home a feel in between casual and formal. 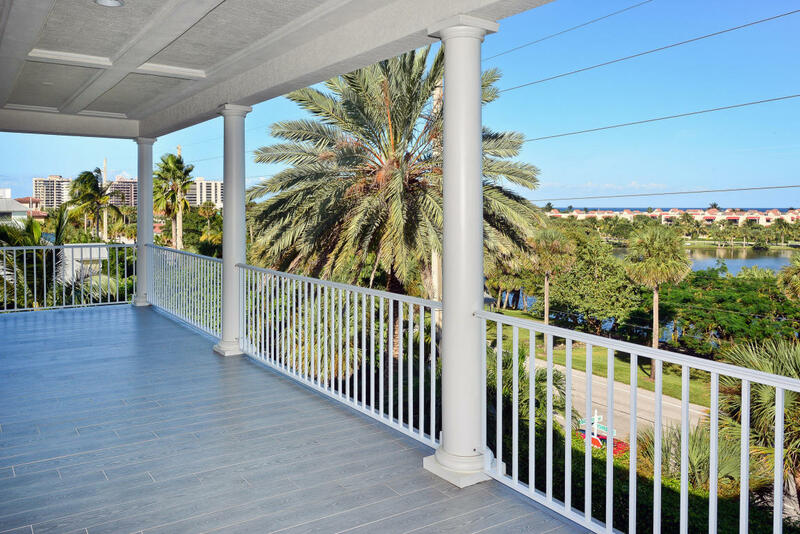 The generously over sized porches, loggia, and summer kitchen are perfect for entertaining while enjoying the ocean breezes and tropical South Florida climate. The home has a formal living room with a fireplace, formal dining room and two family rooms. one of the family rooms has a built in bar. The home has a heated salt water swimming pool and spa. There is ample space for all your vehicles with the three car garage. The kitchen is a chefs gourmet dream! 410 Old Towne Lane is located in Juno Beach and is currently asking $3,350,000.00.